value on a damaged or destroyed tree. Insurance companies due to loss from storm damage, fire, accidents. Lawsuits resulting from accidents or intentional & unintentional removal or unauthorized cutting by neighbors. Replacement cost method. This is the cost to remove and replace a tree (s) with an equivalent size specimen. Cost of cure. This method is for trees that can be saved. It figures the cost (present & future) to restore a tree to its pre‑existing condition as possible. Trunk formula method. This is the standard in the United States for putting a dollar value on a tree that is a total loss and too large for reasonable replacement. Cost of repair. This method is to return a property to its pre‑existing condition, which includes trees, shrubs, hardscape, etc. 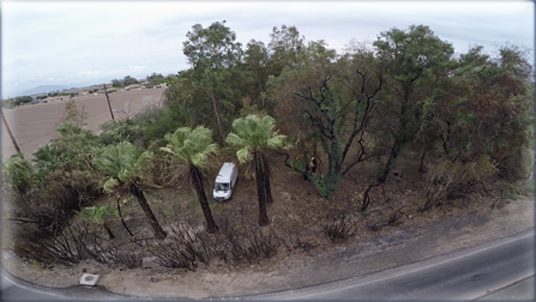 This photo (left) is a frame from a DJI Phantom 2 drone video documenting the extent of tree loss and tree damage. This is used in determining financial loss by appraising the severely damaged or destroyed trees (Trunk Formula Method) and trees that can be restored (Cost of Cure). 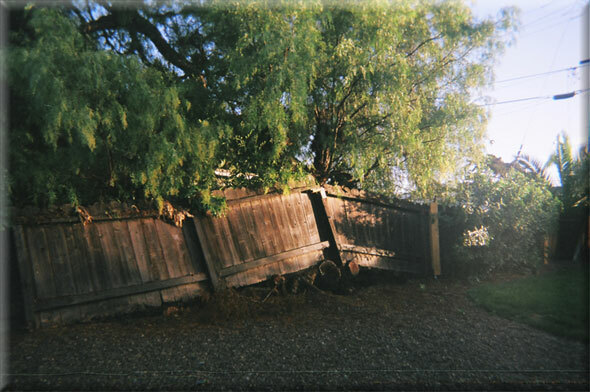 The large buttress roots of this California pepper (right), Schinus molle, were cut within a few feet of the trunk (as seen at the bottom of the fence) resulting in the entire tree failing. The tree was considered a total loss. The appraisal method used was the trunk formula method to determine the value of the tree. This tree appraised at $25,000 in 2006. 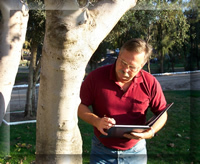 The Guide for Plant Appraisal 9th edition is the guide that is recognized as the standard in the United States for tree appraisals. In California, this is combined with the Species Classification & Group Assignment book for species rating (developed and updated by the Western Chapter International Society of Arboriculture) to come up with dollar values on trees when using the trunk formula method. When plugged into a formula, a dollar value is derived.